Like traditional medical malpractice cases, birth-related medical malpractice occurs when a doctor’s, nurse’s, or other hospital staff member’s negligence leads to injury, illness, death, or an otherwise critical result related to pregnancy or the birth of a child. Below are more in-depth explanations of each of these types of birth-related medical malpractices. Depending on your situation, these explanations might help you determine whether it is time to contact a medical malpractice attorney. Both the mother and the baby can suffer injury, illness, or death during the pregnancy and during the birth of the baby; however, in order for these injuries to be considered medical malpractice, an attorney must be able to prove that they were caused by negligence on the part of a doctor, nurse, or other hospital staff member. Caput Succedaneum: Newborn scalp swelling, usually caused by a difficult head-first delivery or a procedure involving vacuum extraction. Cephalohematoma: Also related to vacuum extraction procedures. Brachial Plexus Birth Palsy: Also known as Erb’s Palsy, this injury causes damage to the nerves when the infant’s shoulders or neck are stretched too far during the birth. Hypoxic-Ischemic Encephalopathy (HIE): HIE occurs when there is a lack of adequate oxygen flow to the baby’s brain. Birth Fractures: The most common types of birth fractures include collarbones and clavicles. Subconjunctival Hemorrhage: Caused by different pressures on the baby’s body during delivery, subconjunctival hemorrhage involves ruptured blood vessels in a baby’s eye. Molar Pregnancies: Molar pregnancies occur when it is a tumor rather than a fetus growing in the uterus. Such a misdiagnosed pregnancy can lead to medical malpractice. Ectopic Pregnancies: Ectopic pregnancies occur when the fertilized egg is planted outside of the uterus, usually in the fallopian tubes, abdomen, cervix, or ovary. Ruptured Placenta: Also known as placental abruption, a ruptured placenta occurs when the placenta detaches itself from the uterus before childbirth. 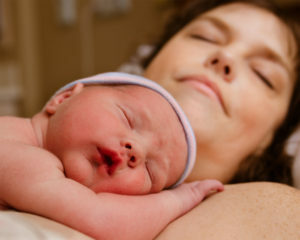 Cesarean Section Injury: Mothers and babies can sustain several kinds of injuries from C-sections, all of which fall under one of two categories: failure to perform a necessary cesarean section and failure to perform a necessary cesarean section on time. Similarly, parents can suffer emotional injury or pain and suffering as a direct result of the injury, illness, or death sustained by their baby during the pregnancy or during the birth. Because it is not as visible as physical injuries, illnesses, and deaths, emotional injuries are a little more difficult to prove; however, a skilled attorney with experience in medical malpractice cases can guide you through the lawsuit. Wrongful birth claims deal with imminent birth defects that would have led to the parents either avoiding the pregnancy or terminating the pregnancy, had they known about the birth defect or, in some cases, even the risk of the birth defect. Generally, during wrongful birth claims, parents and attorneys state the doctors and medical staff should have warned the parents about these birth defects. Genetic testing before the child was conceived. Failing to detect impairments – mental or physical – during the early pregnancy stages. During a wrongful birth claim, an attorney might be able to obtain for the parents compensation for the costs associated with the child’s disorder. Such costs can include everything from medical expenses to educational, physical, and occupational therapy. Wrongful birth claims are another example of incidents during which parents might be able to sue for emotional pain and suffering related to having and raising the child. Wrongful pregnancy claims can happen when parents try to avoid pregnancy but the method fails because of doctor or medical staff negligence. Such avoidance methods might include pregnancy testing, sterilization, and even abortion. Unlike other birth-related medical malpractice suits, generally babies are born healthy during wrongful pregnancy (of course, this is not always the case). The initial problem is that the parents have suffered an unwanted pregnancy and birth – healthy or otherwise. Typically, compensation recovery varies by state. Some allow for compensation such as medical expenses and lost wages due to the pregnancy and birth of the child. Few allow for compensation for the parents’ emotional pain and suffering rendered by the unwanted pregnancy. Most states do not allow compensation for raising a healthy child that was the result of an unwanted pregnancy. Have You or Your Baby Suffered a Birth Injury? Any police reports you filed. All medical bills related to the injury, illness, or death. Information about your income loss. All correspondence you have had with any insurance company. That is why it’s so important to have a skilled lawyer with experience in medical malpractice cases on your side from the beginning. Finding an attorney who will not charge for an initial consultation. If your lawyer charges a fee for a consultation, search for a new attorney. Asking how long the attorney has been in practice; specifically, how long has he or she been handling medical malpractice suits and, even more specifically, how long has he or she had experience with birth-related medical malpractice suits. Determining whether the attorney typically represents defendants (in this case, the doctor) or plaintiffs (in this case, you). You want an attorney who is skilled at representing plaintiffs in the courtroom. Fortunately, the South Florida Leifer Law Firm meets all the requirements that suit your best interests. Contact us right away. We will schedule you a free consultation to discuss the details of your birth-related medical malpractice case and start determining the best steps for moving forward to get you the compensation you and your family deserve. Give us a call at (561) 395-8055 or contact us online today.